Just by way of one last reminder (here on this blog anyway) that next Saturday from 2:00pm to 3:00pm, I'll be talking about The State of Australian Poetry (state, states, status, standard - with such an amazing group of people, anything can happen) with David Musgrave, Jean Kent, Philip Salom and Anna Kerdijk Nicholson at the The Lock-Up Cultural Centre (Gallery) on 90 Hunter St as part of the inaugural Newcastle Writers Festival. This is a free event, and you, of course, are invited to join us. I've been profiling my the wonderful poets that are joining me next weekend here on the blog and Anna Kerdijk Nicholson is the last (but definitely not least). Not only does Anna work as a lawyer, but she's also the director of Australian poetry and an amazing poet (which completely undermines my theory that poetry and law are opposites). Her latest full length poetry book Possession, which won the 2010 Wesley Michel Wright Prize and the Victorian Premier's Prize for Poetry, is a poetic exploration of the voyage of James Cook in the Endeavour 1768 -1771, and moves through time and space to give us a very different kind of history - one that cuts, burns and ultimately moves us in ways that no prosaic narrative could. The following poem, "Desert", published in Cordite 41, Transpacific, goes deep into the heart of the Australian desert. The voice is deeply Australian (though Anna is a migrant, like me), delicate and sharp at the same time, reminding us of the transience and beauty of nature coupled with the sharp, angry politics of detention and fear. Following is a snippet, but you can (and must) read the poem in full here: http://cordite.org.au/poetry/transpacific/desert-2/. It's absolutely free (but not for long!). In case you need an excuse, today is World Poetry Day. According to UNESCO, the purpose of the day is to promote the reading, writing, publishing and teaching of poetry throughout the world. Why should you care? Poetry is one of those arts that not only promotes linguistic diversity, but encourages new forms of expression, new ways of bridging the gaps between us, new meaning. So in honour of the day, I offer you the title poem from my new book which I've written in collaboration with Carolyn Howard-Johnson (and which will be launched, with much fanfare, on Earth Day 2013, though advanced copies are available now). Or you can read it yourself below. Once you read mine, I'd like you to share yours in the comments below. 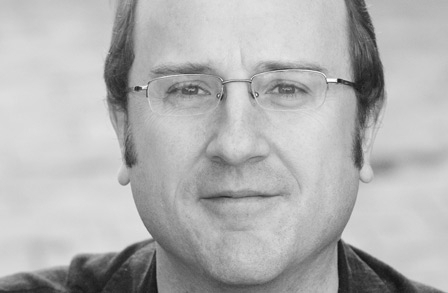 You can share one of your own poems, or a link to a poem you love by someone else, or just talk poetry. Let's open a poetic dialogue. towards a future already put to bed. overcoming, in the end, a calculus of ever decreasing lengths. The protean transformation of the couple is handled in a way that is both subtly humorous and moving as we slide between inside and outside, darkness and light, right-side up and upside-down. The new poetry book is now out, and I'm particularly excited that all proceeds from the sale of this book, which has been written to celebrate Earth Day, are being donated to the World Wildlife Fund. This collection of ecologically oriented poems traverses a wide terrain, moving from the loss of species to the beauty of the natural world, from drought to the exploration of alternative planets. It's an exhilarating collection that breaks boundaries and leads the reader deep into the personal heart of perception. 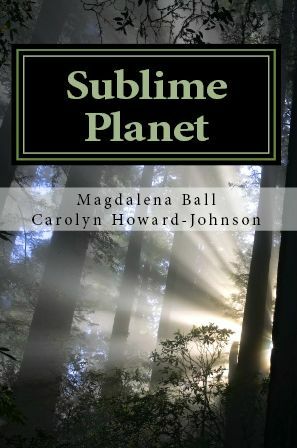 Released by award winning poets Carolyn Howard-Johnson and Magdalena Ball to celebrate Earth Day, this is a collection of poetry that weaves the personal with the universal. trembling like a tuning formk. of music from the surface of a lake. I suspect this may be a reference to the composer cited in the epigraph, whose typo 'How strange and exciting it is living the cretive life' gave rise to the title. The last bit of poem is "Australia" - full of the sensations of the natural world, eucalypts, and the struggles of the artist, "neurotransmitters going/dry as paint left out in tins." Though there are books to read, I suspect I'll be dropping into A Cretive Life for some time to come, exploring its extreme depths, memory, loss, perception, and above all, the way we make meaning through the creative (and the cretive) process.